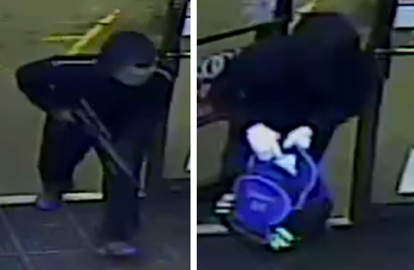 CROCKETT – The Crockett Police Department is asking for the public’s help in identifying two suspects involved in the robbery of a Crockett convenience store. 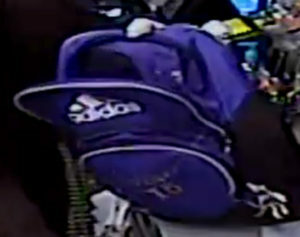 Smith stated the suspects were dressed in dark clothing and had their faces covered where only their eyes could be seen. Once inside the store, the two suspects went behind the counter and ordered the clerk to open the register, the press release stated. “After gathering an undisclosed amount of money, both suspects left the store and fled on foot, heading south out of the store parking lot,” Smith stated. The suspects are described as black males, possibly between the ages of 18 and 25 years of age, standing between 5’8” and 6’3” in height and weighing approximately 160 to 180 Lbs. Anyone with information is asked to call the Crockett Police Department at 936-544-2021 or Crime Stoppers at 936-639-TIPS.